Friendship and conversation around great food and drink. ​Get a taste of our meetings in viewing "Previous Meetings" info below. One evening per month, we gather for a night of food and thoughtful conversation around a specific topic. Guests are asked to BYOB. Guests may also bring a snack or dish to share. ​At our meeting on November 16, we gathered to bid farewell to Michelle and Drew. It was a time to celebrate their new adventure and journey, as well as to look back on great memories of great times. We also discussed plans for a motivated adventure going forward, and again, we did so around some delicious food! ​At our meeting on October 19, we gathered at to shared our thoughts on Life Changes and How to Brace for Those Changes. It was a reflective and refreshing time spend among friends, new and old, over BBQ, brats, shrimp cocktail, and desserts. ​At our meeting on Sept. 21, we gathered at Sal's restaurant in Radford and shared our thoughts on what kind of change we want to see in the world and how that is related to our spirituality (or, how is that divine?). It was a reflective and refreshing time spend among friends, new and old, over pizza, which was provided for free by CLC. We met on August 17, and we shared our thoughts and viewpoints surrounding the recent (Aug. 12) Charlottesville rally and aftermath. It was a reflective and healing time spent with friends while we enjoyed grilled beef steak and jalapeno-sausages, potatoes, turkey wrap, fruit, and quinoa-cucumber salad. And we can't forget that homemade zero calorie Oreo ice cream cake. Okay...it was hardly zero calorie; but, it was amazing. We met on July 20, and our​ theme surrounded PRAYER: What is prayer? What good is it for? We had a wonderful time sharing our thoughts on these questions over chicken marsala, "cowboy caviar", roasted veggies, cake, other great snacks, and drinks. ​We met on June 15, our theme being: How important is spirituality to lead a life worth living? (and we explored how each of us defined spirituality)​. We had a great time conversing over great food and drinks, including: 3 different type of Cincinnati-style chilis, over pasta for a "Skyline" style or over hotdogs for chili dogs. Together with spinach-bleu cheese salad, corn bread, fruit, and other items, it was an awesome meal! We met on May 18 after skipping a busy April (Holy Week, Easter, spring breaks, etc.). We started out our "Questions from a Hat" themed event with this question: What, if anything, does spiritual maturity mean? ​We had a great time conversing over great food and drinks, which included: shish kabobs, chips and salsa, and wild rice. March 16th was a St. Patrick themed event, which included tasty Irish-inspired foods, such as, bangers-and-mash, corned beef and cabbage, Irish biscuits, potato leek soup, and bread pudding. Our theme was Public Religion. Topics discussed: What does it mean, for instance, that so many non-Catholics in America have adopted this holiday in ways that look nothing like the celebration in Ireland? What's the cultural importance of why we say the Pledge of Allegiance before school or sing the national anthem before sporting events? These are all public rituals with meaning attached, but what religious difference do they make? 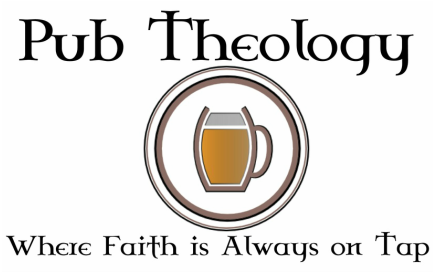 We were excited to have our first Pub Theology of 2017! We had thoughtful discussion with old and new friends around great food at our February 16 meeting! Food included taco boats with beans, meat and all the fixings, and a Tres Leches cake. Some of the questions that were brought up in our "Themes from a Hat" event included: How does the media play into the general perceptions of being a Christian and Christianity? How can people of differing religion get along? Our December meeting was a catered event, sponsored by Thrivent Financial. Someone received fish gel in our white elephant gift exchange, and Pastor Drew had, by far, the ugliest sweater in our contest! Great fun and conversation, and lots of laughs filled the evening. In this holiday of gifts and blessings, we are blessed to be surrounded by these diverse neighbors, friends, and relatives who make up our "church family." See you in 2017! 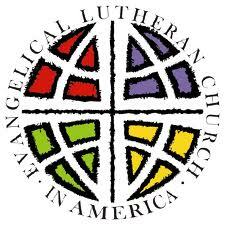 In Pastor Tucker's absence at our October meeting, Pastor Wertz took the lead in the conversation surrounding what it means to be Lutheran as part of our Lutheranism 101 topic. Participants enjoyed an Oktoberfest themed potluck dinner, which included bratwursts, sauerkraut, potato casserole, and apple strudel with vanilla ice cream. Yum! Our September 1st meeting included some tasty Mexican tortas, black bean & corn salsa, cheese sauce, chips & salsa, fried plantains, and rum cake. Our topic for this month was "Wisdom and how we healthfully seek truth in our life's journey." We discussed our thoughts on wisdom vs. knowledge--how we define them, and how we have observed, experienced, and interpreted them in our own lives. We had a great time at our August 4th meeting discussing ideas and plans for the fall. Besides this discussion, which touched on both personal and societal events, we enjoyed great foods, such as a sandwich buffet, blueberry cobbler, sausage & cheese, ceviche, and fresh watermelon-- and of course, a cold drink. ​Busy schedules made for a smaller than usual PT crowd this past June 2nd, but that did not hinder our awesome and interesting conversations. Anticipating continued busy schedules this summer, we will resume PT in August. See you then! Our 'Cinco de Mayo' Pub Theology on May 5th was another exciting fiesta! Pastor Drew prepared delicious carnitas! Themes "from a Hat" was such a hit last time, we did it again. It was fun talking about a variety of topics, such as theology and current events. It was also fun having special guests visiting from North Carolina to contribute their perspectives. Our April 7th meeting was fun & enjoyable! Guests brought a question they've always wanted to ask written anonymously on a slip of paper. These questions were then pulled from a hat, and everyone offered their thoughts about where each saw faith intersecting with the question. Our meeting on March 3rd was a FIESTA with great Mexican food! Our discussion was centered around Super Tuesday: When we disagree about certain pieces of theology or certain political movements, where do we see God? We are grateful for the fellowship, friendship and sharing that took place.